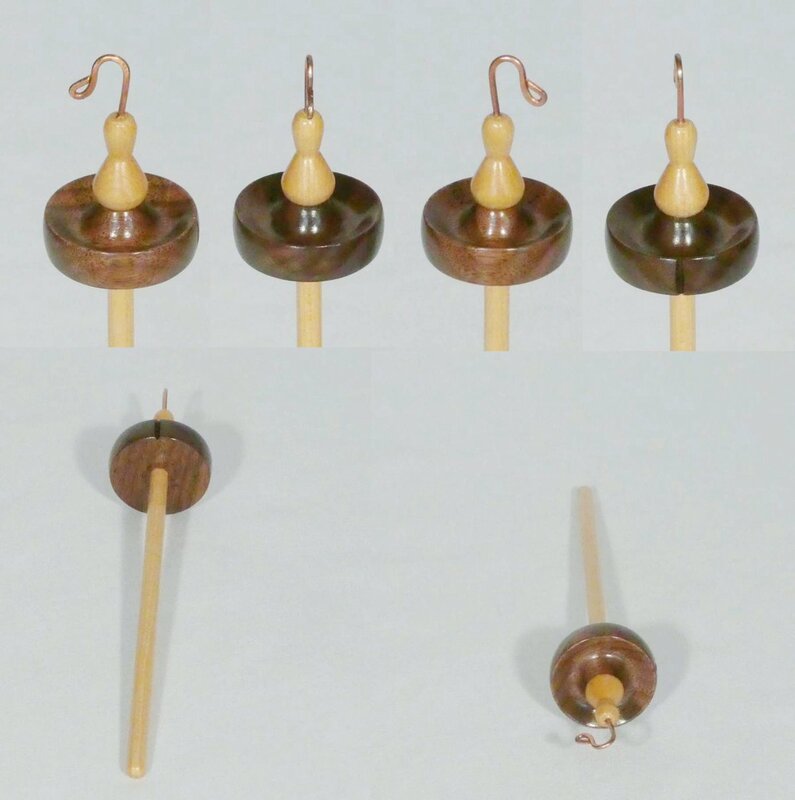 Luxury Twig Size Spindle number 247 Top whorl of Brazilian Mahogany on a Curly Ash 7 1/4" x 1/4" shaft with a Sterling Silver hook weighing 0.27 oz. 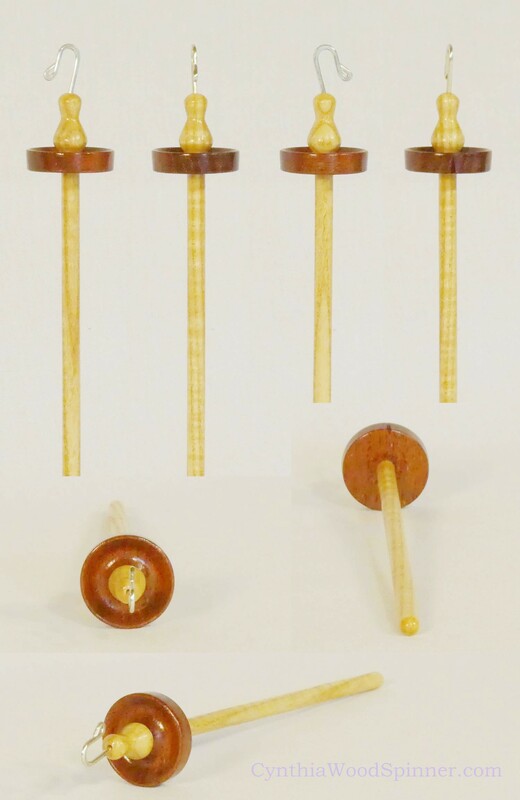 7.5g $120 Brazilian Mahogany once widely used in fine furniture has become rare. 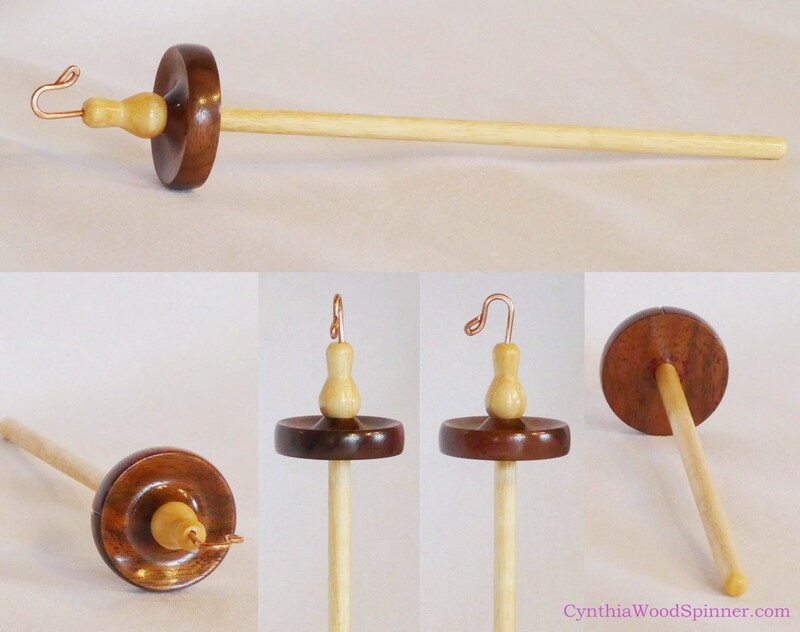 All the spindles both whorl and shaft are fully hand turned by Cynthia D. Haney. 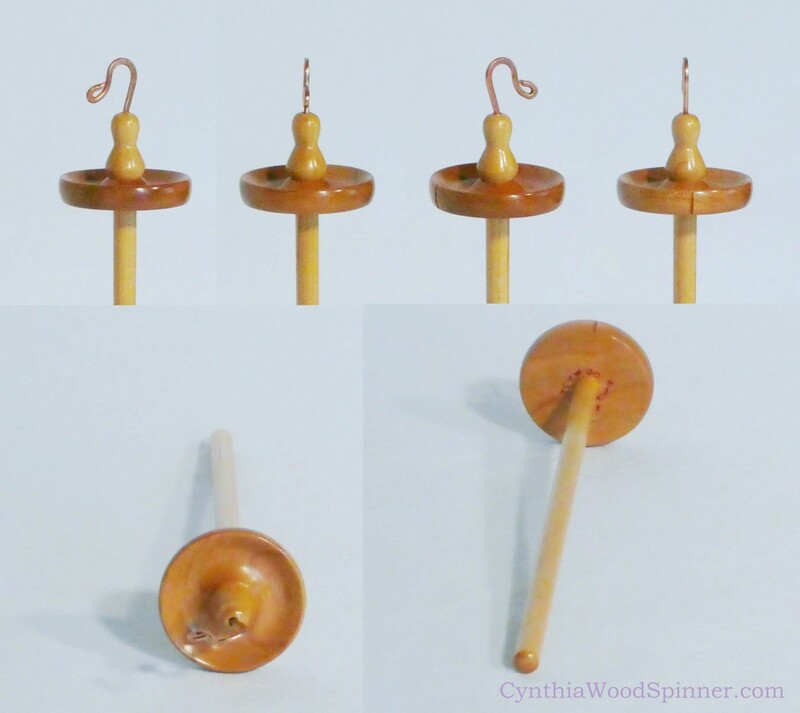 Hooks are shaped, hammered, and polished copper, by Cynthia using her original design. 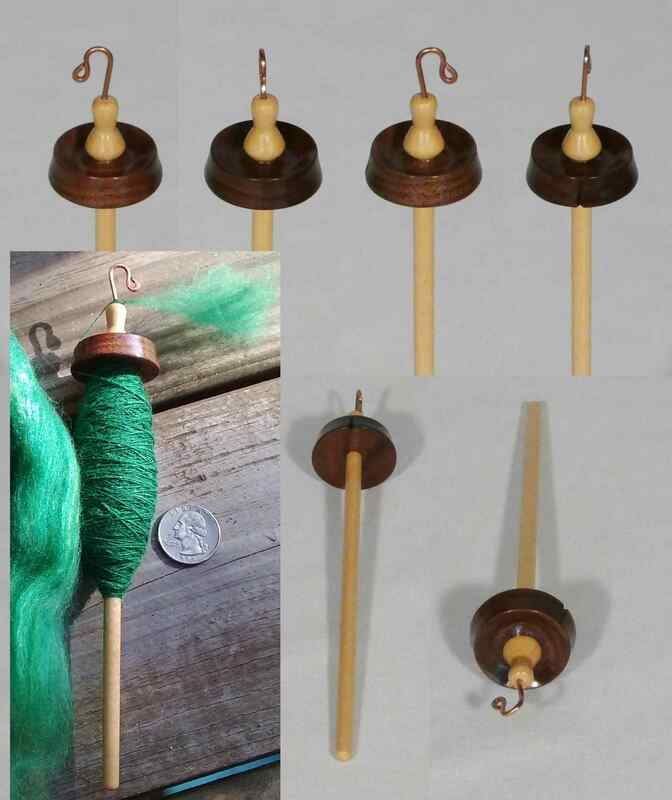 The whorls have a notch to guide the yarn to the hook. 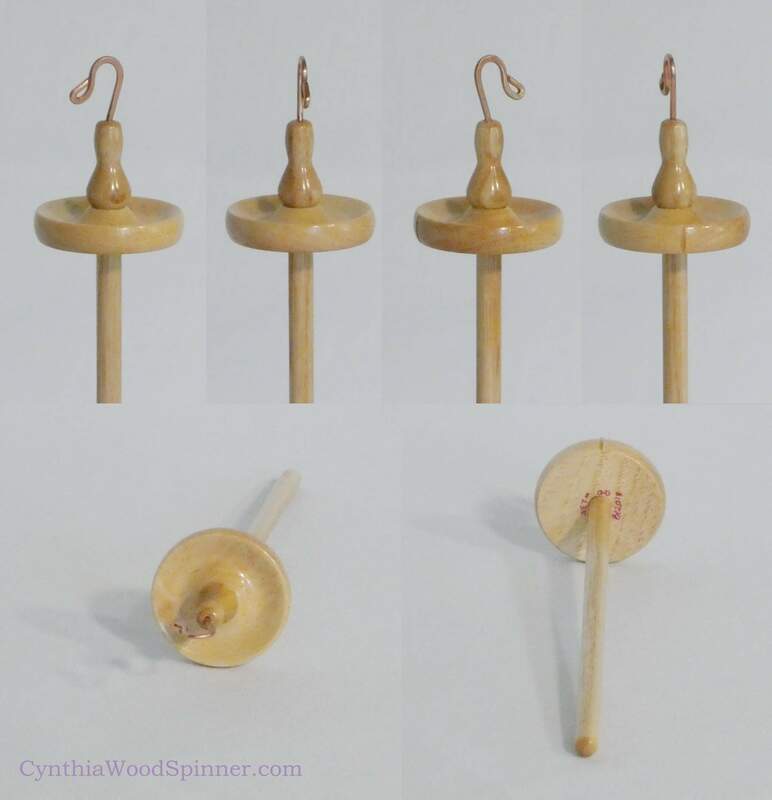 Each spindle is numbered, marked with its weight and the date, signed by Cynthia, then receives multiple coats of protective varnish. 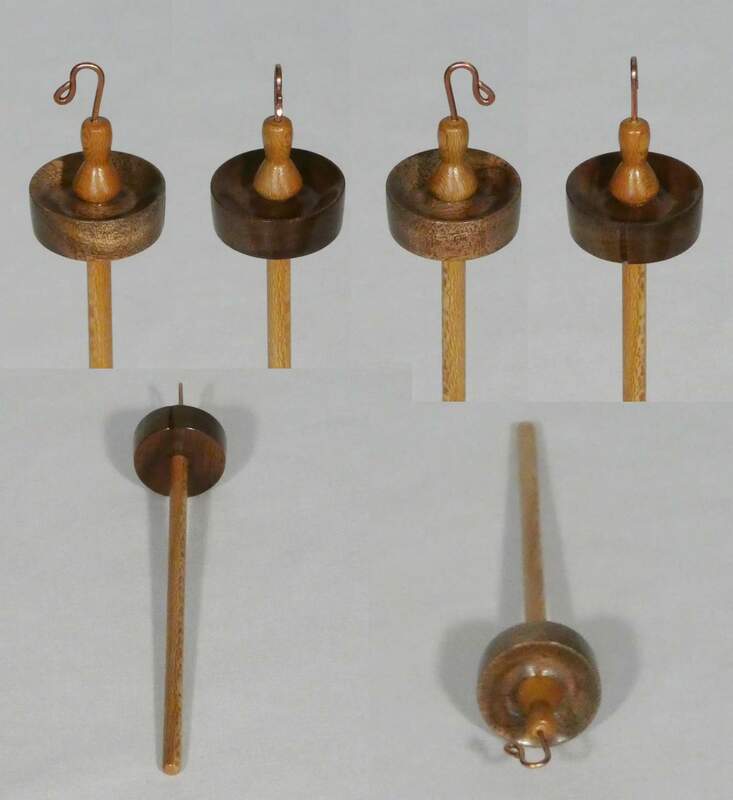 Pictures are taken against white fabric in case your device shows otherwise. 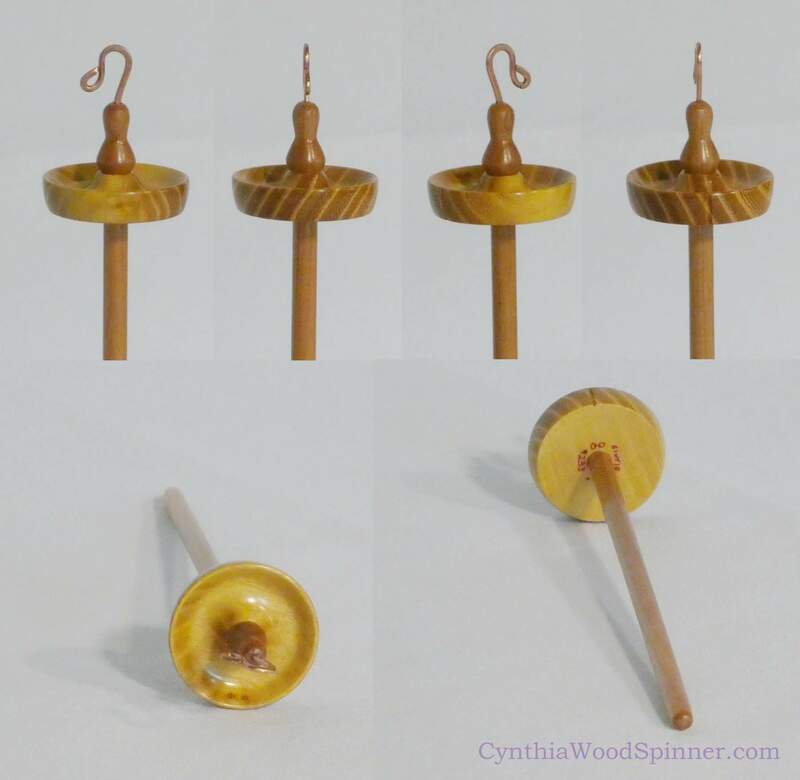 Please e-mail me ch@cynthiahaney.com with questions and international orders. 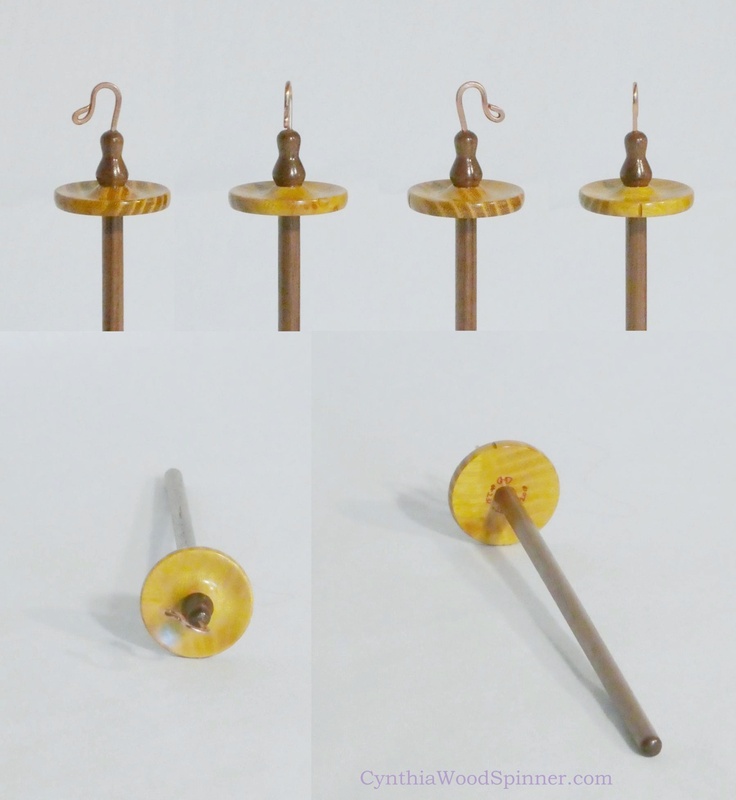 Free shipping on all US orders. 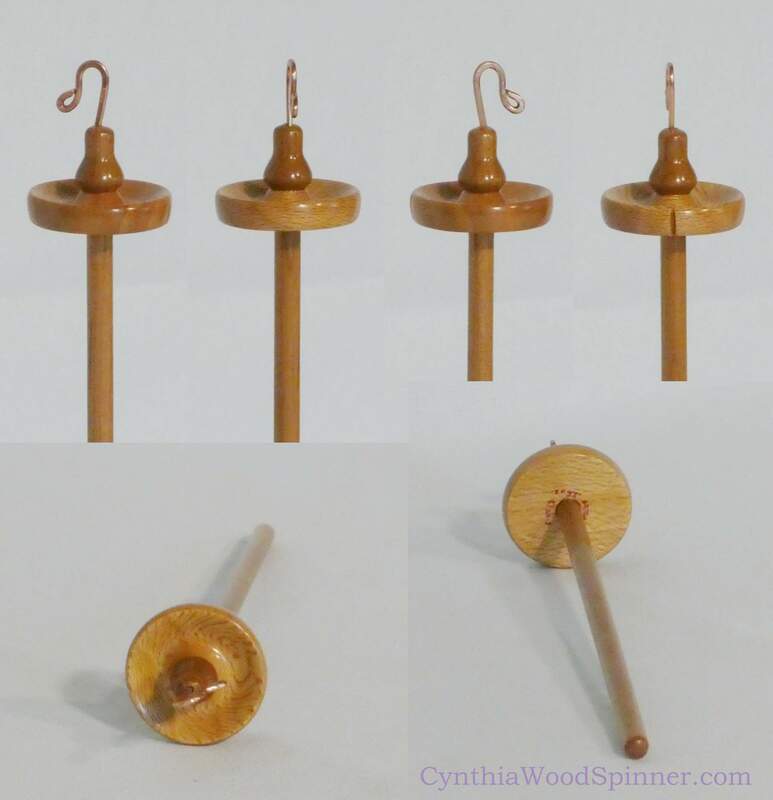 This page features my twig sized spindles with ~ 1/4" diameter shafts. 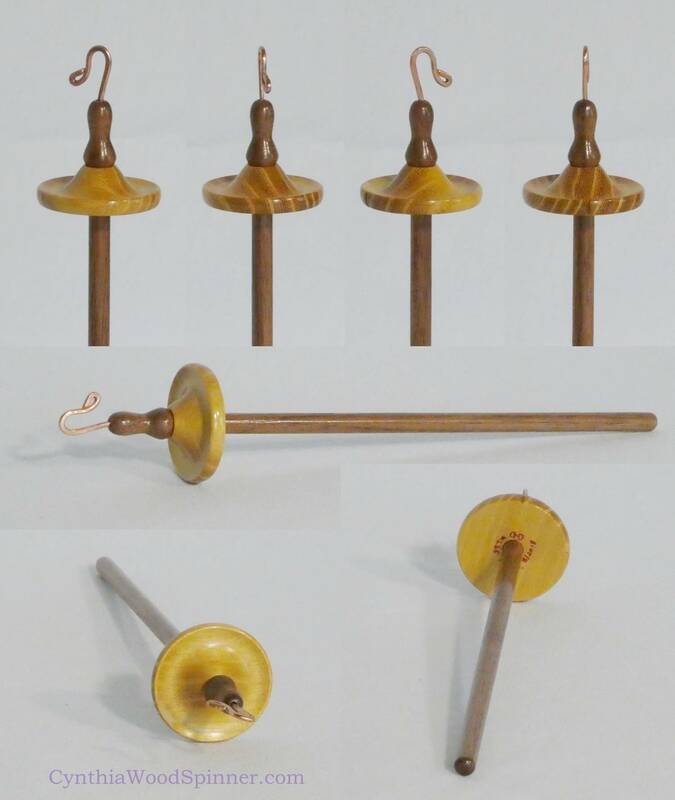 Larger branch size spindles, trunk size spindles, display stands, spindle and stand sets, and spindle ornaments are for sale. 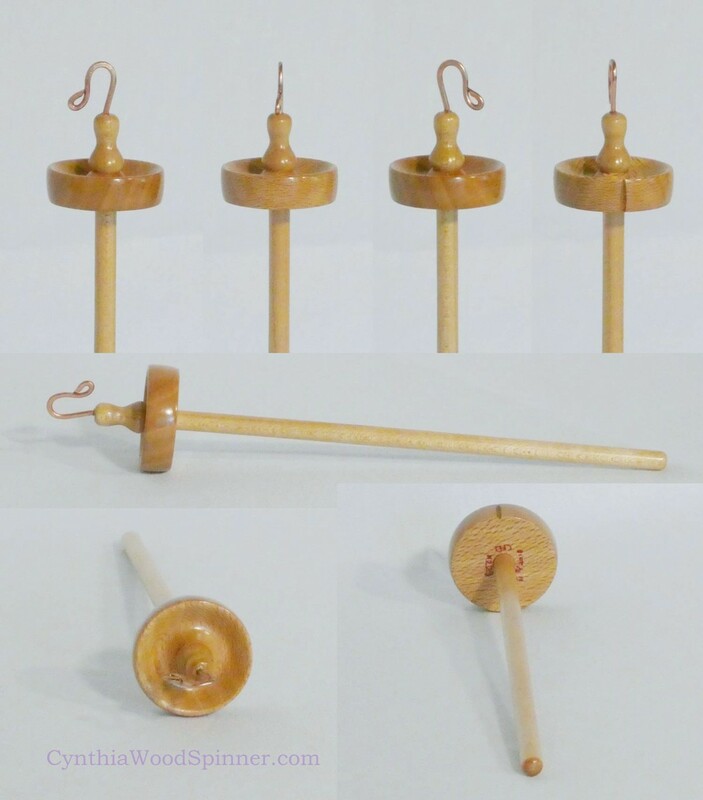 I also make crochet hooks, hand turned bowls, yarn related tools, and other fiber tools.